THERE are scores of years between them, but Nola Twiner, Tyler-Jacob Bowers and Oliviah Retort get along like a house on fire. 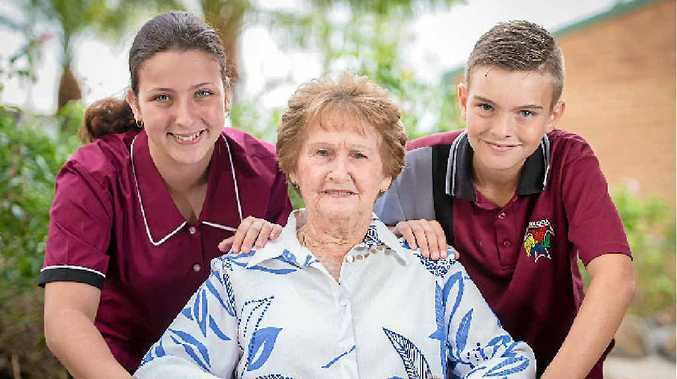 Mrs Twiner, 86, and the two students from Toolooa State High School worked closely together to tell Mrs Twiner's story for the 2015 Our Priceless Past project. Students from the school interviewed this year's group of Gladstone seniors, and produced fascinating stories from the lives of their elders. 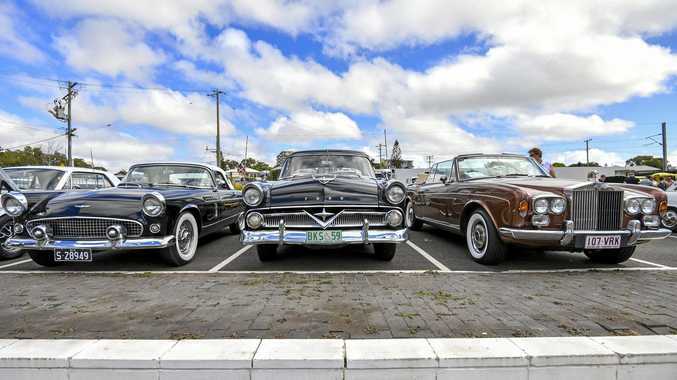 The official opening of the Priceless Past exhibition will be held today at the Gladstone Regional Art Gallery and Museum, where the students and seniors gather for lunch and the official launch of this year's exhibition. Now in its 17th year, Our Priceless Past has recorded the lives of more than 230 seniors and has involved almost 400 students from around the Gladstone region. An Observer initiative, and sponsored by Ergon Energy, the special publication will appear in tomorrow's Observer. The exhibition launch, starting at 1pm today, is open to members of the public.